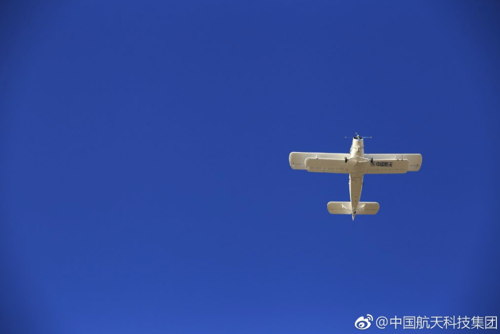 China has successfully tested the world's largest commercial drone developed and manufactured by the China Academy of Aerospace Electronics Technology (CAAET) made its first successful test flight at Baotou Airport in North China's Inner Mongolia autonomous region on Tuesday, reported Ecns.cn, the official English-language website of China News Service. 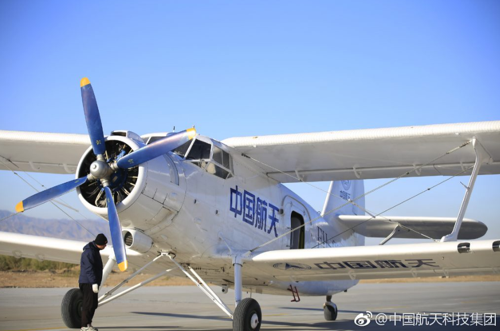 Feihong-98 is a Chinese copy of the Soviet Antonov An-2, which is China's first domestically-built transport aircraft, the Shiefei Y-5B has a 60-year history since its first flight in 1957. In the last twenty years, China has emerged as one of Washington's top competitors in the global drone market. 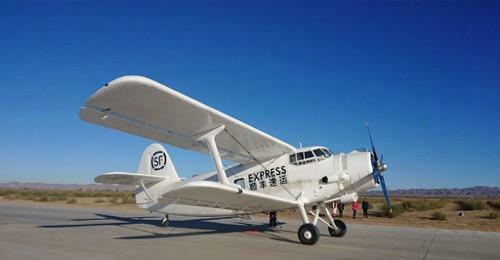 China is offering affordable drone technology, that has been rapidly gaining global market share. 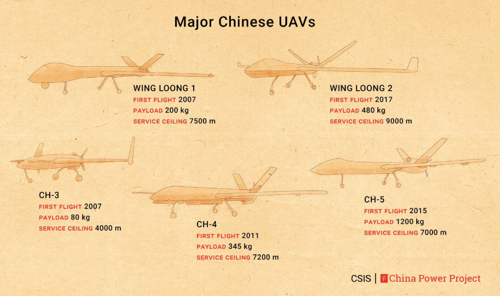 China manufactures several types of drones. 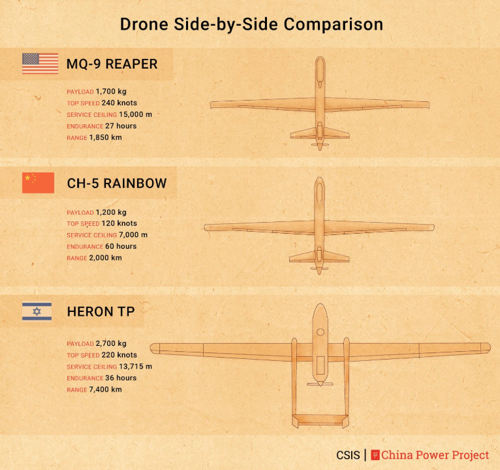 The Caihong 5 (CH-5) Rainbow, its newest multi-role capable drone, has seen increased activity in the Middle East -- especially the Yemeni Civil War. The CH-5 competes with the American Reaper and Israeli Heron TP. Regarding total drone sales, however, China lags the US (as shown above). Since the financial crisis to 2017, the US has sold 351 drones to numerous countries, followed by Israel's 168 drone export. 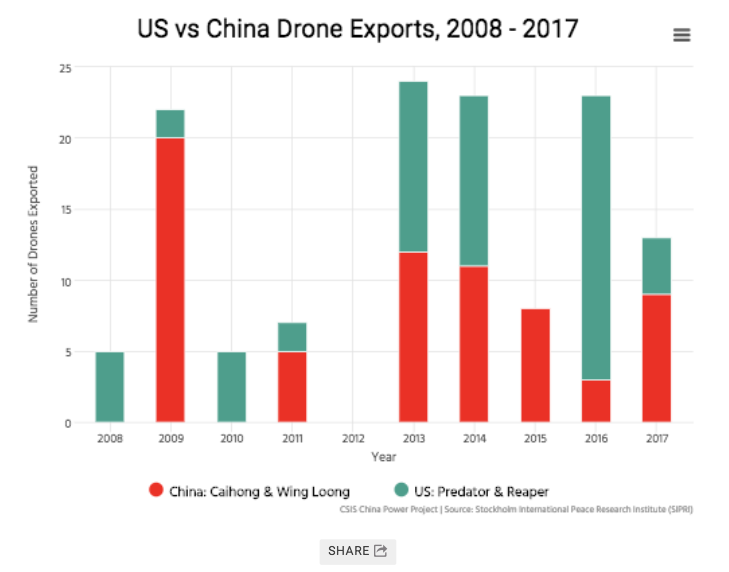 China's drone exports have greatly benefited from American export controls. The US has historically slapped some countries with weapon bans, which has allowed China to fill the void. If countries cannot buy arms from US defense companies, they usually resort to China. 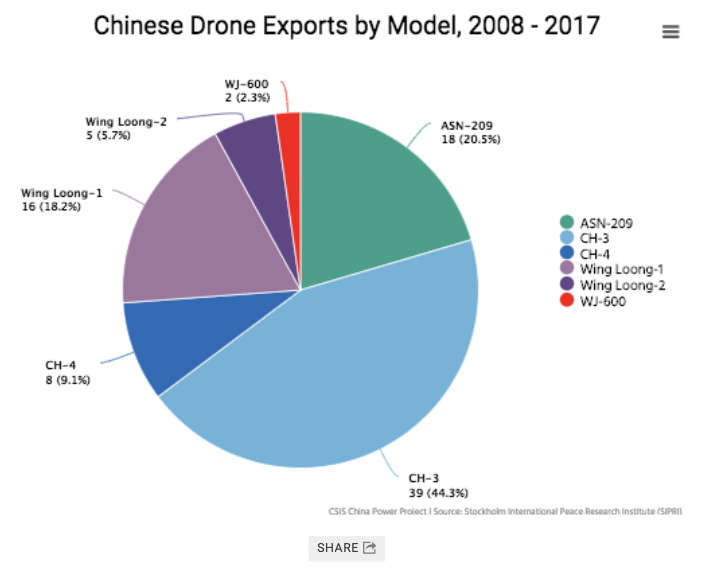 With a wide variety of drones, and now the addition of the world's largest transport drone, it seems China is threatening Washington's global drone market share -- a move that does not sit well with America's military-industrial complex.